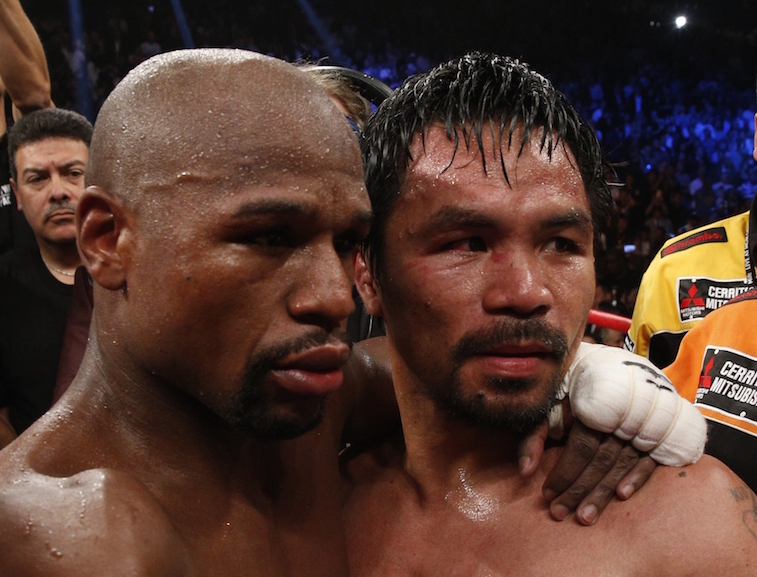 How Badly Did the Mayweather-Pacquiao Fight Damage Boxing’s Future? 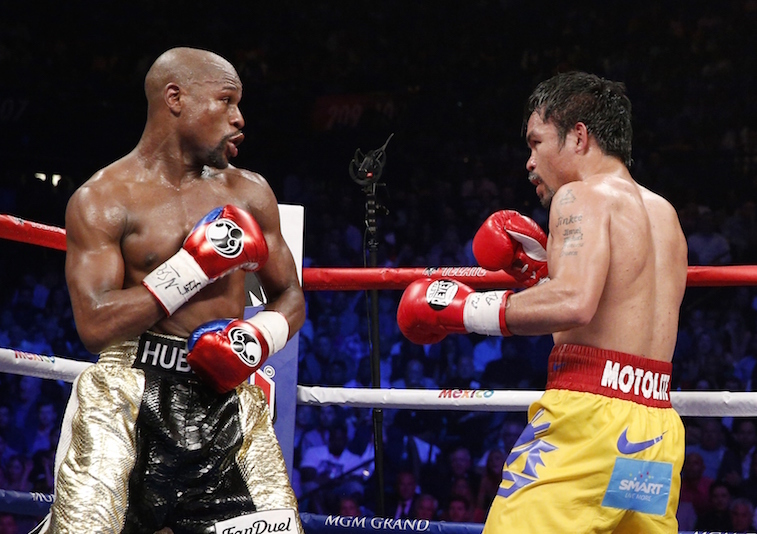 The bout between Floyd Mayweather and Manny Pacquiao on Saturday night had been dubbed “the fight of the century” by boxing fans and sports media personalities for weeks leading up to the event. Everyone from boxing diehards to the most casual of fans world have been chomping at the bit for years to see these two legendary fighters square off. What the millions of people who watched the fight ended up seeing was an anticlimactic, 12-round fight that didn’t even come close to living up to the massive amounts of hype that this long-awaited matchup created. To be fair, boxing fanatics and purists probably really enjoyed this fight. Mayweather’s performance quite possibly could have cemented his place in boxing history as the best technician the sport has ever seen. He has proven time and time again that he can out-box — not out-brawl — any fighter he’s matched up against. Against Pacquiao, he danced, jabbed, and countered his way to a dominating 12-round win by unanimous decision, improving his career record to 48-0. As it turns out, Pacquiao could now be facing a legal battle, as he reportedly misled the public and the Nevada State Athletic Commission by failing to disclose a rotator cuff injury in his right shoulder. That remains a story for another day, but it’s hard to imagine that he would have fared much better against Mayweather even if he were completely healthy. The hysteria leading up to this bout led many people to believe that this fight could revive professional boxing in the United States. When the dust finally settled at the MGM Grand Garden Arena, the sport may actually be in much worse shape than it was before. The suggested retail pay-per-view price of the Pacquiao-Mayweather fight was roughly 40% higher than any other pay-per-view fight in boxing history. Over 3 million people were expected to fork over $100 to order the fight, and the vast majority of them who did can’t find the adjectives to describe how utterly disappointed they were at the end of the night. Needless to say, it would be shocking if the already rumored rematch between these two all-time greats drew half as much interest as Saturday night’s match. Furthermore, it’s a very real possibility that most of the casual fans who paid a pretty penny to watch this fight will likely never spend money on a pay-per-view boxing match again during their lives. There may not have been a bigger winner on Saturday night than the Ultimate Fighting Championship (UFC). Several experts on the subject matter have already credited the UFC with killing boxing’s popularity worldwide. On Saturday night, the UFC’s stranglehold on fight fans around the world only grew stronger. One of the biggest qualms of people who watched Mayweather-Pacquiao was the severe lack of action and excitement throughout the fight. On a similar note, whether you love the sport of ultimate fighting or hate it, you simply cannot deny that every fight during a UFC pay-per-view event is full of action and violence. Going forward, we believe that it would be safe to assume that with all things being equal, most people would rather spend their money on a UFC pay-per-view over a boxing pay-per-view event. At this point in time, it’s hard to envision boxing ever reaching the levels of popularity that it had reached when guys like Mike Tyson, Evander Holyfield, and Lennox Lewis were in the prime of their careers. In fact, the sport is in danger of becoming irrelevant in the professional sports world. The next few months will be telling, but at first glance, instead of saving professional boxing from sports obscurity, the Pacquiao-Mayweather fight more than likely cost the sport millions of potential fans.